Mel and Isabel Gordon, owners and founders of Atmospheric Water Generator, LLC, first met in 2005 while Mel was living in Polk County and Isabel was still living in South Florida. Mel, who's originally from Bloomsburg, PA, received an honorary discharge from active duty in the United States Air Force and wanted to live in a warm climate. 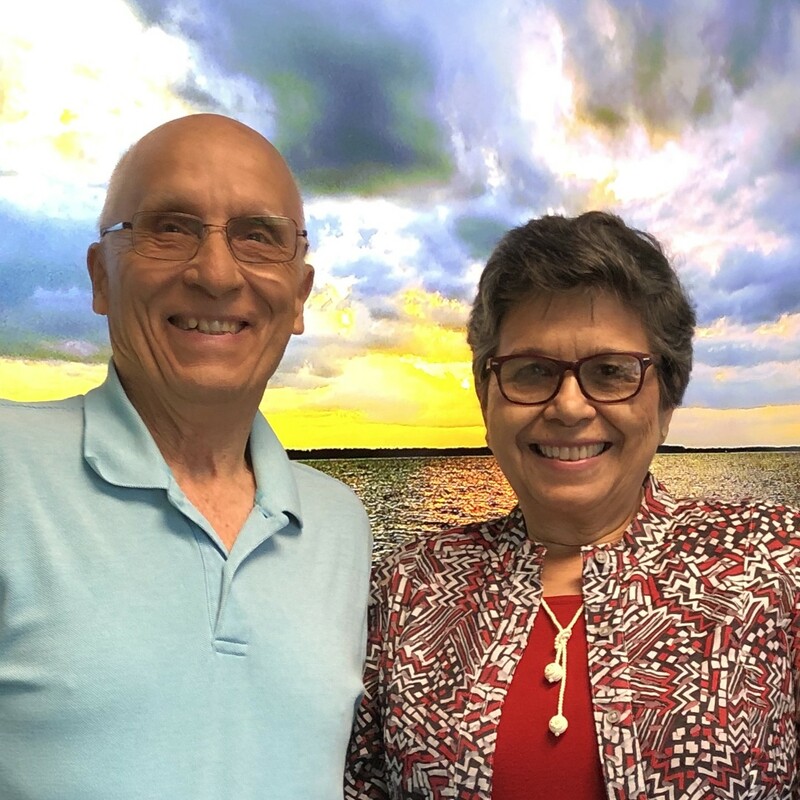 Isabel, who's originally from Guadalajara, Mexico, relocated to Fort Lauderdale, after selling a temporary employment agency she founded in St. Louis, MO, to assist her aging parents. Mel and Isabel shared the story behind their journey, including their source of inspiration, challenges they faced along the way, what they ultimately hope to accomplish and advice for aspiring entrepreneurs. "In the Air Force, I primarily worked on equipment that supported the aircraft," Mel said. "When I left active duty, I worked in the air conditioning industry in South Florida. That continued when I moved to Polk County in 1975. Eventually I started my own A/C business." Isabel added, "After selling my business in Saint Louis and moving to Fort Lauderdale, I got into mortgages. When I moved to Polk County, I continued in mortgages, but also started selling real estate." In 2014, Mel was hearing more and more news reports about global water problems. As utility companies increased their reliance on adding chlorine and fluoride to convert ground water into safe drinking water, Mel knew there had to be a better way. His professional experience sparked an idea. "Operating in the A/C business for as long as I have, I've seen my share of drainage issues," he said. "I also became very aware of how much water is pulled out of the air and how much of that water ends up dripping out of condensate lines and going back into the ground. That's when the idea of capturing water, that's been pulled out of the air, came to me. What if we could find a way to turn this water into drinkable water?" After conducting some research, Mel discovered a network marketing company that was selling a device, similar to a dehumidifier, that pulled water from the air, filtered it and made it available for consumption. He made the decision to sell for this company, but before he could do so, they folded. Still believing in the power of this technology, Mel was determined to make it work. "We identified a manufacturer and went to their factory to look at their machines," he said. "They're primarily an A/C company for yachts and high end clients. At some point, they diversified and started making these water machines. They don't sell direct. That's where we come in." Atmospheric Water Generator, LLC, was officially founded in January of 2015. Mel and Isabel share the vision of supplying your home, office, hospital, or industry with your pure water needs. Their ambitious goal is to 'Quench Thirst Globally'. Since launching the business in 2015 and relying on savings, family loans and a line of credit to grow the business, they've made slow buy steady progress. Currently, their machines are available for purchase online and are custom made for the particular weather conditions where they're going to be installed. Mel and Isabel work with informed homeowners who appreciate the ability to have clean and safe water. Their smallest unit is capable of producing 16 gallons per day. Their largest unit, that's typically mounted on the back of a tracker trailer, produces 10,000 gallons per day. According to Isabel, more people need to consider the source and quality of their drinking water. "Most cities have plenty of water, but the water is often contaminated and you don't even realize it," she said. "We just got an email that several cities have contaminated water because of what's going into the ground. In certain areas of South Florida, the water is re-recycled. Boiling the water kills the bacteria but the chemicals, like chlorine, are still there. Mel added, "A lot of big bottling companies are buying up natural springs. We're about to see the start of water wars." Aside from their long-term goal of 'Quenching Thirst Globally', Mel and Isabel are seriously considering going into manufacturing and producing their own machines. It's a lofty goal, but one they both believe is attainable. Mel and Isabel offer some great advice for aspiring entrepreneurs. "Find a need and then go fill it," Mel said. "That's what we've done. Isabel added, "In St. Louis, I had an employment agency where I provided housekeepers for hotels that had trouble staffing them correctly. I saw a need there and I filled it with my business."